Ugly Food Shouldn't Go to Waste! Tell retailers in the U.S. to stop tossing out perfectly edible food because it's not "pretty" enough! Americans live in a time of unparalleled abundance. Every grocery store is filled with beautiful, flawless produce. But did you know that perfection comes at a terrible cost? According to endfoodwaste.org, retailers across the nation choose to throw away 26% of all produce in the United States is thrown away and therefore never eaten because it's "ugly." As a result, billions of pounds of edible food are thrown away while, at the same time, 48.1 million Americans are food insecure according to Feeding America. Food that is thrown away simply because it does not meet a certain cosmetic standard is not only a waste of edible food. It's a waste of the resources, from water to fuel, it took to produce the food. As food decomposes in landfills, it releases methane, a potent greenhouse gas which contributes to global warming. A report from the U.N. Food and Agriculture Organization entitled "Food Wastage Footprint: Impacts on Natural Resources" stated global emissions from food waste in 2007 were estimated at 3.3 gigatons of CO2 equivalent. Ugly produce, when wisely marketed as seen by the French supermarket chain Intermarché, can actually even raise grocery store revenues. But American consumers aren't even getting the chance to choose between beautiful produce and their slightly flawed but no less nutritious alternatives. We can't keep wasting edible food like this. Hungry Americans and the environment both deserve better! 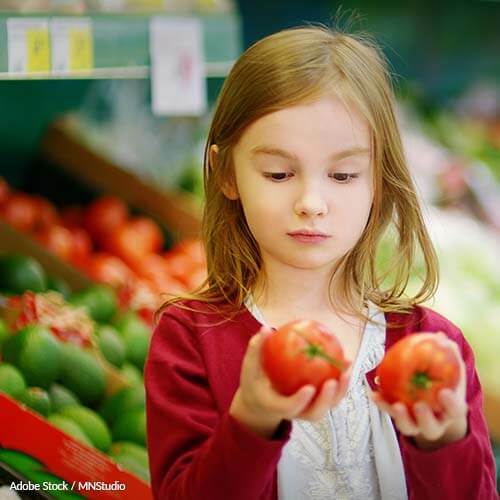 Call on the top three grocery retailers in the United States; Wal-Mart, Kroeger, and Target; to change their policies on fruit and vegetable cosmetics and implement an Intermarché-inspired marketing campaign to help change the public's perception of "ugly" produce. From Goodvertising: "As the European Union made 2014 the European year against food waste, Intermarché the 3rd largest supermarkets chain in France, decided to try and change their customers perceptions to encourage better behaviours towards the non-calibrated fruits and vegetables. How? By showing them that though they might by ugly looking, they are as good as any others." As the top three grocery retailers in the United States, I am writing to you to request that you do your part to end food waste in the nation by choosing to sell "ugly" produce in your stores. According to endfoodwaste.org, retailers across the nation choose to throw away 26% of all produce in the United States is thrown away and therefore never eaten because it's "ugly." As a result, billions of edible food is thrown away while, at the same time, 48.1 million Americans are food insecure according to Feeding America. The FDA has no power over deciding which food is sold or tossed, which is why I'm writing to you, imploring you to do something for hungry Americans and our environment. While Americans are, indeed, conditioned to only wish to buy the most attractive produce, marketing campaigns like that seen by the French supermarket chain Intermarché have proved that wise marketing can drastically sway perceptions. Please, do your part to end food waste by changing your policies on fruit and vegetable cosmetics and implement an Intermarché-inspired marketing campaign to help change the public's perception of "ugly" produce. To complete the signature process, click "Sign" below. Remind me to click daily at The Hunger Site (manage and customize your newsletters any time). That's 14,307 signatures! Let's keep the ball rolling. More causes need you. Back to the list.